Helen B, a.k.a. 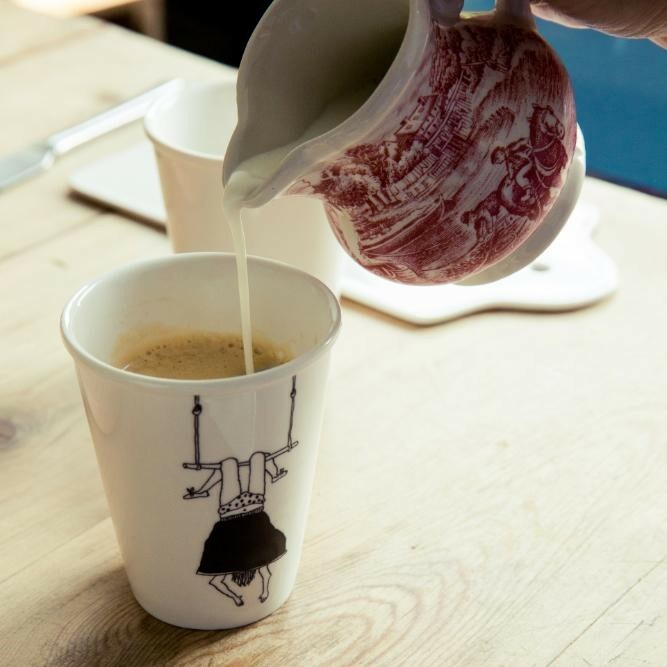 Helen Blanchaert, is a graphic designer from Ghent. Her illustrations form a universe of funny characters, animals, strange creatures and animated letters that come to life at her drawing board. 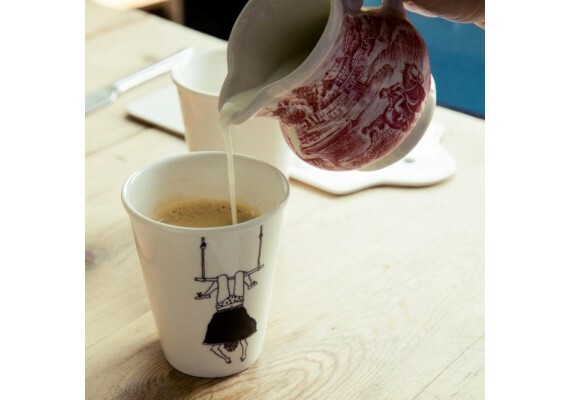 On these off-white porcelain cups Helen worked with black Chinese ink. 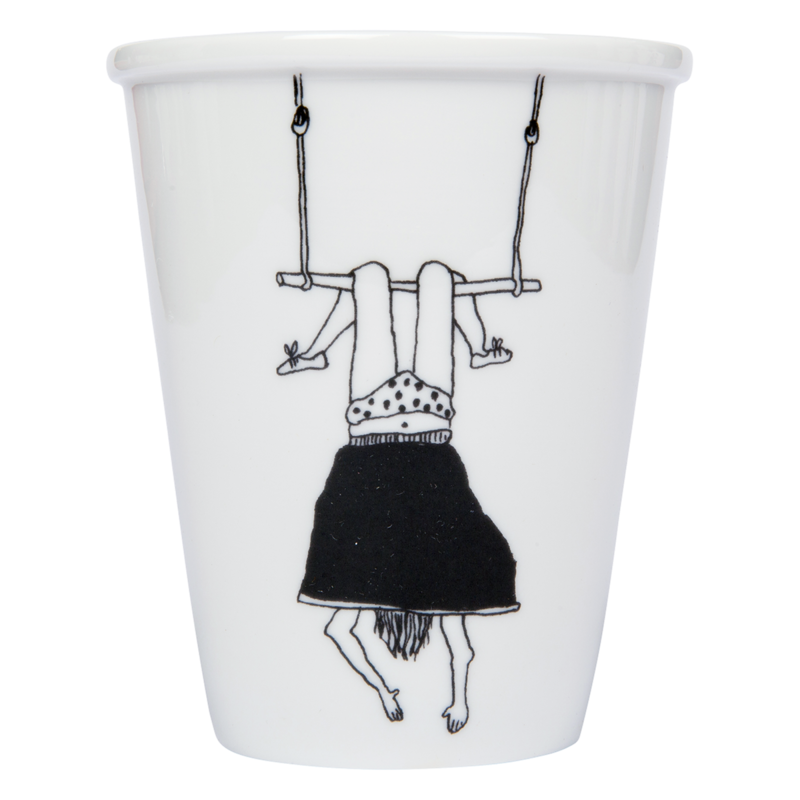 The cup with its handmade black and white illustration suits everyone, man, woman, young and old! This cup is 9.5 cm high and has a diameter of 8 cm.